Comment: I currently have Half round copper gutters on my house, but they are not effective. Iâd like them removed and replaced with traditional square aluminum gutters. I also would like to keep the copper. Comment: I would like to get an estimate for replacing my gutters. Cleveland Gutter Cleaning & Repair Services are rated 4.73 out of 5 based on 1,615 reviews of 38 pros. 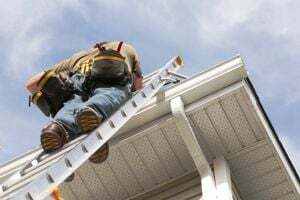 Not Looking for Gutters Contractors in Cleveland, OH?